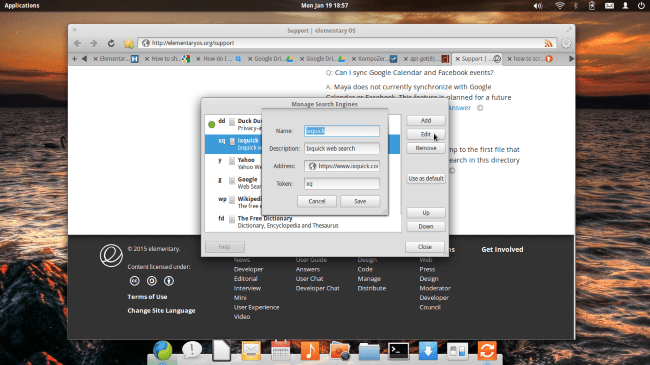 I am playing with Elementary and have decided I want to add ixquick to Midori’s search engine list. Here’s how I did it. You can access the search engine manager by right clicking on the single entry bar, and selecting Manage Search Engines. I used xq for the ‘token’ which seems to be internal to Midori. I shall probably drop it for Firefox as I want/need the addons.